That's "storm" as in "Tampa Bay Storm." And that's "embroidery" as in Embroidered Pelican, the official embroiderer for the Tampa Bay Storm, and a direct marketer of fine-quality embroidery on brand name goods, specializing in custom embroidery, monogrammed Greek clothing and school spirit wear. Personnel at the Tampa-based shop didn't have much spirit, however, when Sue Urbach, proprietor, was told by her first Website host that she wouldn't be able to take credit cards online! "Then I had trouble reaching them on the phone. They were going to make me open a totally new account. I already had a credit card merchant account." "It was the old 'smoke and mirrors' game," said Urbach. "He made it sound too complicated. Then I contacted Brian at BANG! Web Site Design. He explained the whole E-commerce process and worked us through the credit card issues. BANG was already set up to interface with my current credit card company. So it was easy. I've heard about so many people who say they do Websites, but when it comes right down to it, they don't know very much." Urbach can't say enough about how pleased she is with BANG! "Excited" is the word she uses. "They worked efficiently, quickly and responded to all my questions. I was especially concerned about loading up product on my store and being able to maintain the site myself. The administrative part of the site is very user friendly. Again, my questions were answered immediately - and correctly." Embroidered Pelican has been in business only a short time, and Urbach updates her site "constantly." Orders are coming in so quickly that she hasn't had time to figure out how much more business she's had since the site went live. That's good! She does say that she's so proud to have people link to her site. Before, she was embarrassed. Not any more. Many people who saw the old site have commented on how great her new site looks and how user friendly it is. Urbach also gives credit to BANG! for the training she and her staff received. "It was awesome! After a couple of hours of patiently walking us through the steps, we are able to maintain our site beautifully. It was so easy. And they came to me. Plus, they're always available on the phone." 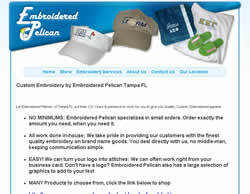 To learn more about Embroidered Pelican, visit www.embroideredpelican.com. Then call BANG! Web Site Design to learn how you can stir up your own "storm." 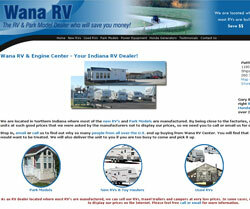 Open the Wana RV and Engine Center Website and you may jump back at the sound of a horse's neigh! It's not a computer glitch. It's there to acknowledge that Shipshewana, Indiana, is the home of Wana RV and one of the country's largest horse and buggy-driving Amish populations. That's where the old-fashioned comparison ends, however. Gary Miller, company owner, is a modern, high-tech businessman who understands the power of the Internet. And, unlike the pastoral pace of his surroundings, he likes the quickness with which BANG! attends to customer service. 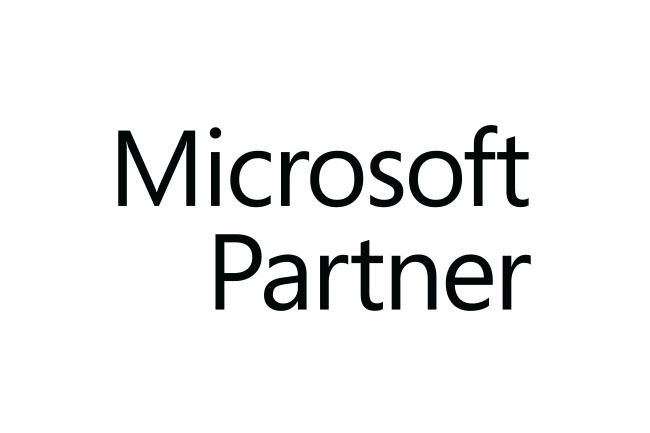 "I worked with them to redesign my site and don't hesitate to say that service is excellent. They make my changes within a day. E-mail is answered within minutes." Miller is a guy with a lot of ideas of his own and he likes to bounce those ideas off the BANG! team. "They tweak my ideas, adjust the page or graphics, and it's ready to go." In a good news/bad news scenario, his Website proved almost too successful. When Miller aggressively advertised a product on his site, he garnered phenomenal national sales; however, the manufacturer thought that his low pricing was too aggressive and asked him to "tone down" his marketing because other dealers were complaining. He complied with the manufacturer's request, and uses that experience as an example of the power of the Internet as it relates to increased sales. Miller says that he is always getting compliments about his Website. "Others comment about how easy it is to read and the prices are right on the same page. They don't have to do a lot of 'clicking around' to find the information they want." His Website generates more sales than any of his other marketing venues. "I also use radio, the Yellow Pages, television and newspaper, but I'm cutting back on those. The Web is my best tool and gives me the most sales." Unless you're driving a horse and buggy, you'll want to visit Miller's site and see for yourself what's available at www.wanarv.com. And if your business could use a boost, call BANG! Web Site Design have their team put your business on the map. Like savvy business people everywhere, the personnel at MPA Architects know their business inside and out. And they should. They have a long, successful history in the South Bend area. Begun in 1956 by Joseph Mathews, the firm may have undergone name changes in its 50-year history, but its reputation for outstanding work has never wavered. Involved in all aspects of architecture, planning and interior design, the firm's widely diverse projects include commercial, industrial, educational, public transportation, religion, health care, law enforcement, recreational, single and multifamily, and retirement housing. With tasks like those in front of them everyday, it's no wonder that they decided to look for expertise outside of their firm to develop a professional Website that was a true reflection of who they are and what they do. "We interviewed several Web design firms and freelancers. Brian at BANG! came in, gave a presentation and answered all of our questions. We asked him for a time line and a quote, and he provided them quickly. His price was very competitive and we were impressed with other work he had done," said Weiss. "It didn't take long for us to confirm that we got exactly what we wanted. Everyone here is extremely happy with the work of the BANG! team. 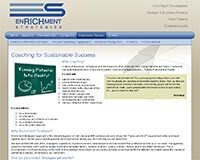 They worked with us on implementing the design that we already had in mind and made it work on our site." She is especially pleased with how easy it is for them to make changes to the site in-house. Also, the principals like the fact that clients and prospective clients can send e-mail directly to them through the site. "And when we switched e-mail accounts, Brian came in for a couple of hours, explained everything to us and got it up and running. It was a joy working with someone who cared that much about us," said Weiss. 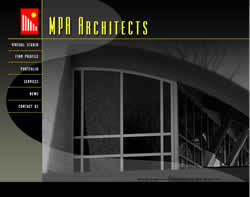 So here's the moral of the story: If you're looking for an outstanding architectural firm, visit www.mpaarchitects.com. But if you're looking for an outstanding Web design firm, contact BANG! Web Site Design today.